How often have you heard gamblers talk about how casinos must have some secret buttons and devices they use to prevent players from winning too much? Almost every seasoned gambler out there can tell you at least five conspiracy theories they are sure correct. Casinos are robbing us blind and they’re getting away with it! People who subscribe to and advocate these theories are, almost without an exception, those who have been gambling for many years. Due to the nature of gambling as such, they accumulated significant losses, to the point where it seems that it is just impossible to win. And, they blame casinos for it, because who else could they blame? The reality of the situation is somewhat different, though. Casinos don’t mind winners at all and, contrary to what many might believe, they love big winners. These people are great free marketing for the venue and the size of their win doesn’t really matter to the casino’s bottom line. The math will take for itself as it always does, so there is no reason not to love winners. Imagine that every time you walked into a casino you lost everything you came in with. Once or twice you’d be fine with it, you could probably justify it even five times, but eventually you’d get bored of it and never stepped inside another casino again. You’d probably be done with gambling for the rest of your life. So, the $1,000 or whatever you lost during those visits are the only money casinos will ever get from you. You don’t need to be a genius to understand this would just be bad business. 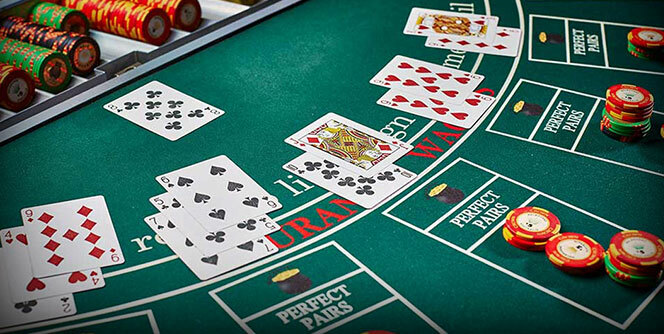 In the end, the casino industry offers a certain spectrum of services and, like most industries, they depend on repeat customers to keep the ball rolling. Since this is essentially a hospitality and entertainment sector, they need to keep people reasonably happy and satisfied to sustain the model. So, casinos need frequent winners just as much as they need losing players. Being able to win from time to time is what makes us come back to a casino, hoping it is our lucky night. Furthermore, someone losing and seeing someone else winning will be motivated to keep on trying because they could do it, too! Why Cheat in an Already Rigged Game? Let’s be straightforward about it: gambling is a fool’s effort. We do it for the excitement and for the (unlikely) chance to win big without having to work hard for the money, but there is no sensible explanation for it. You’re up against it every time you spin the reels of a slot machine or bet on your favorite numbers on roulette. Every casino game has a certain inherent house edge and, despite what many seem to believe, that edge isn’t all that huge. For example, I’ve heard people talking about how slot machines only pay back 50% of what goes in. What they don’t realize is, if this were true, winning on slots would be almost impossible. In reality, we’ve all won quite a few times. 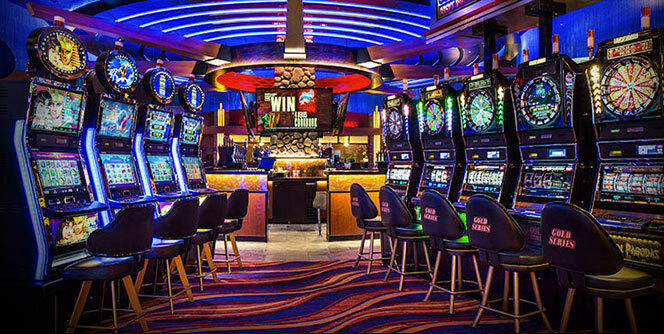 The casino edge is usually only few percentage points, almost never more than 10%. 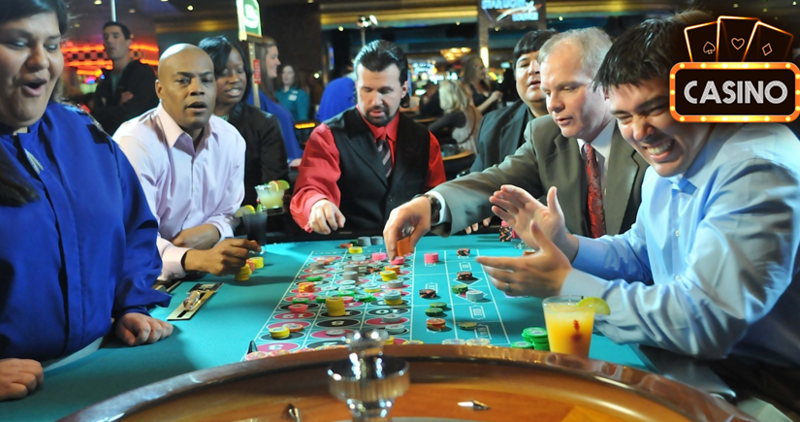 Most table games are in the 3%-5% region. This is more than enough to create a stable and safe stream of income that will continue to bring in money for as long as there is traffic. So, the bottom line is, casinos don’t need players to either win or lose – they don’t care. They just need people to keep playing. For them, it is a long-term play and what happens today, this week, or even this month is completely irrelevant. They win $0.05 or so every time you bet a dollar, and there are many dollars wagered every day in every casino around the world. Imagine if you were given an opportunity to freely take $1 every day from every single one of your neighbors. They don’t mind it, as long as it is just $1, and they are even happy to see you every day. The life is good and the money keeps rolling in as you live in a neighborhood with 200 people. Would you risk it all by pulling out $5 bills, hoping they don’t notice it? Perhaps there are people who’d still do it (and this is obviously a silly example), but from a business point of view, this would be a really poor decision. You have a guaranteed stream of nice income for the foreseeable future, putting it on the line for a bit of extra profit just doesn’t make sense. Casinos do have to run their businesses by the book and their games and machines are inspected for fairness. If something doesn’t add up, they can end up paying hefty fines or even losing their operating licenses, which would be an absolute disaster. 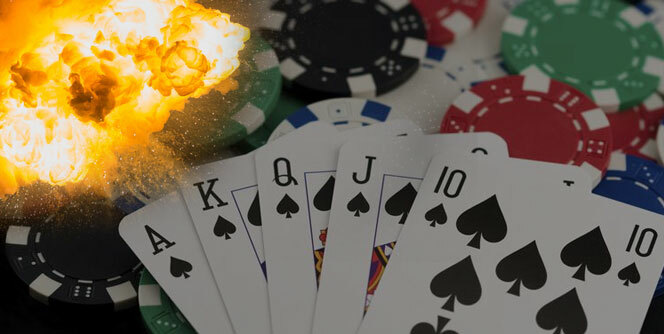 Some of the most common myths about how casinos prevent people from winning big involve control buttons in dark backrooms and magnets hidden inside the roulette wheel. I’ve joked about it a million times myself, even calling out the boss in my local casino to “unlock the slot for me,” but there are no buttons and no magnets. 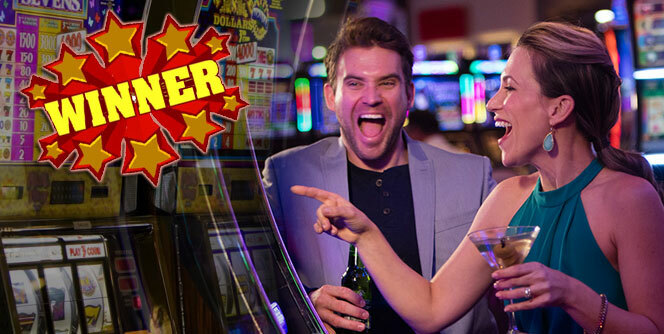 When it comes to slot machines, casinos do have the ability to adjust their payout rates, whether they do it themselves or working with game manufacturers. However, these changes do not happen in real time and they can’t just switch the machine down from 90% RTP to 70% RTP to quickly rid you of your modest profit. As for roulette magnets and dealers dealing “special” cards from a blackjack shoe – that’s just not something a respectable casino would ever do. Sure, there are some joints where these practices probably exist, but if you’re playing in an underground casino run by Russian mob, you can’t really expect a fair game. Imagine the PR nightmare if a magnet was found in one of roulette wheels in Bellagio, for example. The amount of money they’d lose over the course of the next few months, even if they somehow maintained their operating license, would be so substantial, that no amount of money they “confiscated” from the players could justify it. People who are most vocal about games being rigged are usually the ones playing small to medium stakes. They often have it fixed in their minds how the casino is keeping tabs on their play and, if they notice they are a few hundred up, they’ll somehow rig the machine and make them lose it all back and then some. Even if they could do it, it would be virtually impossible to track all of these small wins and somehow control them. For any decent casino, a $1,000 win is really a drop in a bucket. They pay dozens of hand-pays every day and they don’t bat an eye. So, to think they are somehow trying to prevent you from taking home a couple hundred bucks is a bit ludicrous. The Gambling Industry Is Built on Winners! At the end of the day, we all go to a casino to have fun and, if we’re lucky, win some cash. Casinos didn’t become the huge industry they are today because they took money off of bunch of people. The industry flourished because it made countless millionaires and produced many lucky stories about people turning their last $10 into thousands. So, no, casinos don’t mind you winning at all! They need winners to keep the wheels spinning and they don’t care who wins and who losses. Of course, if they could have their pick, they’d likely pick a YouTube persona with a huge following over a modest retired lady, but in the end, they don’t care too much. All of us who frequent casinos are triggered by seeing a big jackpot payout on the machine next to us. Or seeing someone win that Royal Flush jackpot playing Caribbean Stud. That’s the stuff dreams are made of and if we see it happen to other people, we are reassured it can happen to us as well. If everyone walked out of a casino with their heads down and their pockets empty, the whole industry would collapse in less than one year. So, just keep this in mind when you next visit your favorite local or online casino. It won’t really change your chances of winning or losing, but it will help you feel better while trying to get lucky and improve your overall experience. You’re allowed and welcome to win and the casino will pay you out with a smile, because they know they can’t lose in the end. It is really that simple and straightforward. Their operational model is carefully crafted to make sure they never lose and occasional winners are a significant key part of this model rather than some statistical deviation.